Since his election in 1999, Cllr. Gerry Coyle has developed a proven track record of public service and commitment to the community he serves. A local businessman, Cllr. Coyle is at the forefront of his community. Cllr. 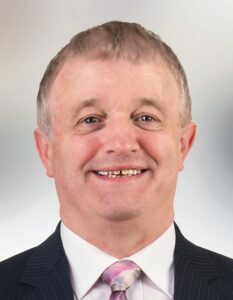 Coyle has served on a number of Committees; Mayo Council Chairman (2006/2007), the Founder, Coach and Trainer of Geesala Boxing Club, Chairman of Geesala Community Council, Chairman of Geesala Festival Committee and a Member of the Board of Management of St. Brendan’’s College Belmullet. Cllr. Gerry Coyle is a straight talker who gets things done. Since being elected to Mayo County Council, Cllr. Gerry Coyle has never failed to promote his area and his county both locally nationally and internationally.